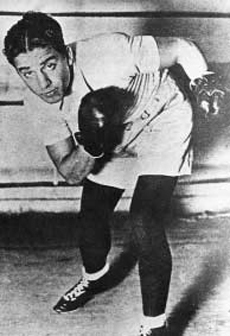 Perez arrived at Auschwitz on October 10, 1943 as part of "Convoy 60" a group of 1,000 prisoners shipped from Drancy, France; While at Auschwitz, Perez was forced to particpate in boxing matches for the amusement of the Nazis; By 1945, Perez was one of just 31 survivors of the original 1,000; In March 1945, the Camp was evacuated; The Nazis shot and killed Perez on the ensuing "Death March"
Perez was arrested by local police on October 10, 1943, and deported to the Auschwitz death camp in Poland. According to reports, Perez was forced to fight in the bi-weekly boxing matches at the camp. The fights were bet on by the Nazi officers in command of the camp. The winners of these matches were awarded with bread and soup, while the loser was executed. 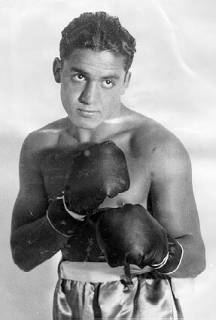 Perez's first fight in the camp was against a German-Jewish heavyweight (inmate) named Iorry. Even though his opponent was over a foot taller, and 50 pounds heavier, Perez scored a knockout. Perez went on to fight twice a week, every week, for the next 15 months, reportedly scoring 140 straight knockout victories. 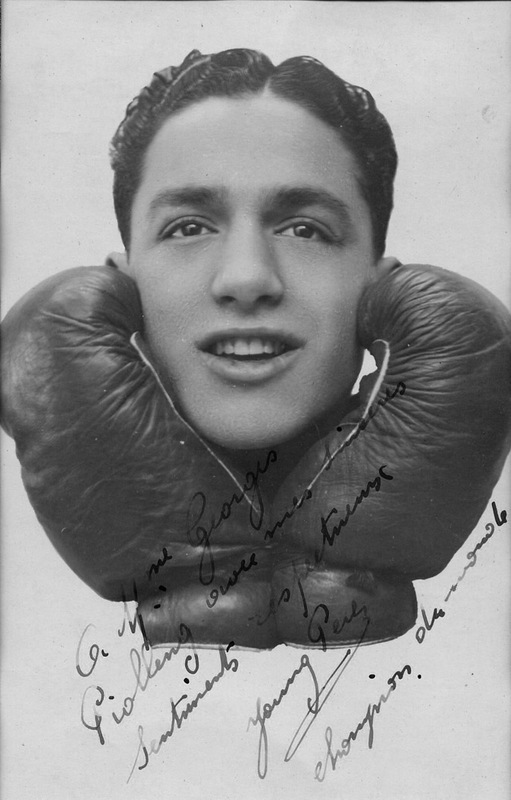 In 1945, Perez was evacuated from the camp. It was reported that on the road near a camp called Gleiwitz, Perez attempted to pass bread through a fence to another inmate, and was shot and killed by Nazi guards. Some sources list his death in January 1945, others in March. -Some sources report "Oran, Algiers"
-Some sources report "LT 7"
-Some sources report "Jack Cowley"
-Some sources report "London, England"
-Reports vary - "TK 4" - "LK 5"